It is always difficult to pass on the news of a death. It is important, above all, that those who might wish to attend the funeral are informed as quickly as possible. If you are in the position of having to let friends and family know, it can be overwhelming, especially if you have a lot of people to tell and you want to tell them quite quickly. You may have to make a decision about whether to tell people face-to-face or by phone. If you have a large family or wide circle of friends, you could delegate some of the responsibility for passing on the news to those close to you. One traditional way of reaching a broader public is to put an announcement in a national or local newspaper. Printed announcements can also be mailed to everyone in the deceased’s address book. 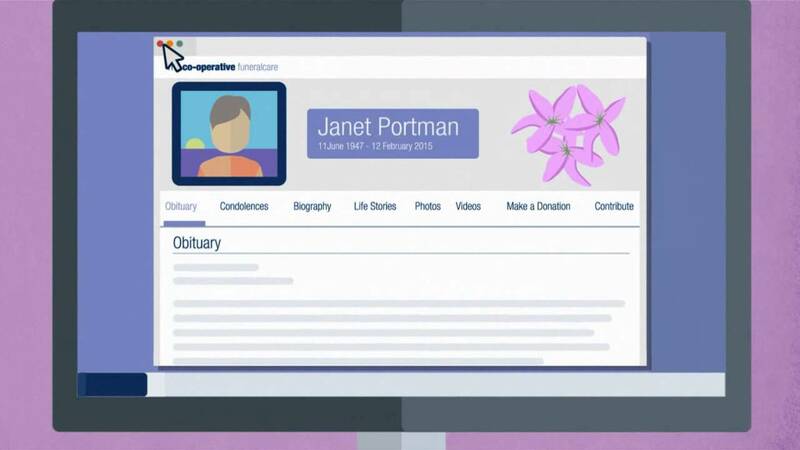 Another way of reaching family and friends is by creating an Online Memorial with an obituary. An obituary is a news article that announces the death of a person, along with an account of the person’s life and information about the funeral, such as the time and place it will be held. An Online Memorial is the perfect way to bring your most treasured photographs, videos and stories together, enabling you to remember and celebrate a special life while sharing this personal tribute with family and friends. When you speak to us, we can advise you on all this and will be happy to help you arrange the publication of an obituary notice. You may like to watch our animation video below for information on letting others know about the funeral.